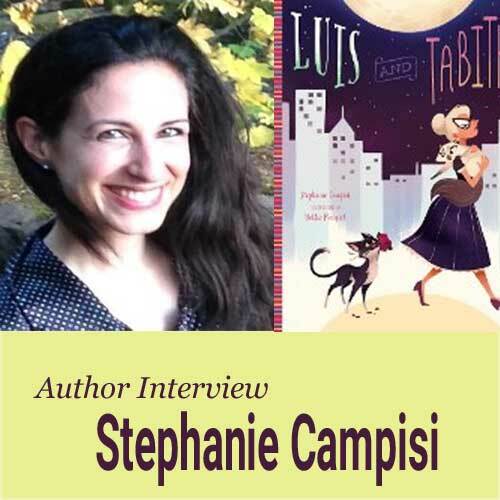 Australian-born author Stephanie Campisi’s books are in bookstores and on library shelves much to the delight of American readers everywhere. With two books published and another two slated for publishing in 2019, we are delighted to speak with Stephanie about her craft. Your latest book, Luis and Tabitha, grabbed our attention from page 1. Luis is indeed “dashing, charming, and purrfectly suave.” Tell us a little about how you came up with the idea for this book? Luis is indeed quite the charmer! Hollie Mengert, the illustrator, brought him to life absolutely beautifully – the idea of making him a “tuxedo” cat was hers, and I think it’s a perfect fit for our hero. With two picture books published, Luis and Tabitha and The Ugly Dumpling, and two more coming out next year, why do you think you gravitate to the picture book format? I love picture books in that they tell two stories simultaneously – the story in the text, and the story in the illustrations. I love the challenge of seeing how much can be left unsaid, or what can be revealed with the turn of a page. Picture books can shape the telling of a story in wonderful, creative ways. That said, I do write in formats other than picture books. I work by day as a copywriter, which I think has influenced my interest in how language and images can work together to create something intriguing and engaging (don’t worry – my picture books won’t try to sell you anything). Other than picture books, I’m a huge fan of middle grade, and I do have a couple of things in the works there. When you begin writing a picture book, do you know what the ending will be? Almost always. I usually start with a title, which given the length and approach of a picture book pretty much sums up the book’s theme or throughline. Generally, this has something to do with an underdog character who is failing tremendously at what they want. The ending is them getting what they want, but in a way that’s a little off kilter and unexpected. With a picture book, that ending is very often suggested by the character archetype I’m working with. I just asked my fiancé, and he said that my quirk is complaining about everything under the sun to him for at least ten minutes before I get started. Oops! Will we see your Australian roots in future books? I really hope so! I have a picture book about a platypus that will hopefully see the light of day soon, and my middle grade work definitely has an Aussie sensibility to it. I do think my Australian roots are evident in my humor and worldview – it’s a culture that seems superficially to be very similar to the US, but there are huge differences in terms of social norms, cultural touchpoints and overall outlook. I get some very odd looks here, although that might be because of my accent! Like all writers I’m an avid reader; that’s my favorite thing to do when I have a bit of free time. I live in a rural area, so I also spend a lot of time tending to my property and exploring the local surroundings. There’s a river with several waterfalls nearby, plus plenty of forest and all sorts of animals! It’s easy for the hours to slip away when you’re out there. It’s a bit of a mishmash, but I think that literary fiction would win out. I love experimental fiction, the classics and anything a bit “weird”. You’d also find a lot of items put up high and out of reach of my Jack Russell puppy!